Allison Williams as Peter Pan in the first promo photo from NBC's "Peter Pan Live!" 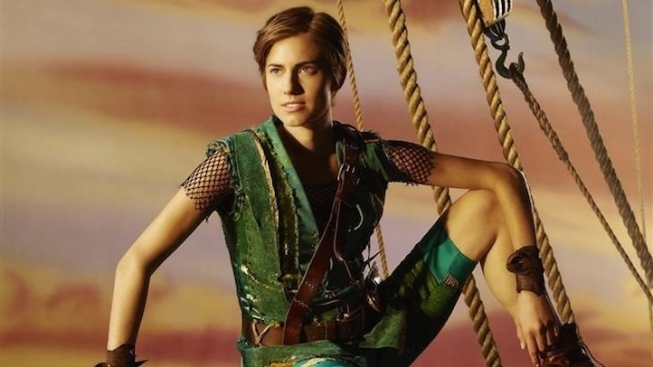 The first photo of Allison Williams as Peter Pan is here! Williams has said playing Peter Pan is a “dream come true,” even sharing a photo on Instagram of her dressed in the part as a young child. The photo was revealed in one of two interviews Williams gave on NBC’s “Today” show, where she also discussed why she decided to wear a wig for the role. "I sort of very tentatively offered to cut my hair, I was like, 'You know, if it's a thing that would help I could cut my hair,'” she told “Today.” “And they were like, 'You're welcome to do that, we're still gonna put you in a wig.'" “Peter Pan Live” will air Dec. 4 on NBC.